Little did she know that five years after her induction she would witness her son’s induction into this select body. Following in his mother’s tradition Darren readily acknowledges the support of others such as coaches and fellow players. 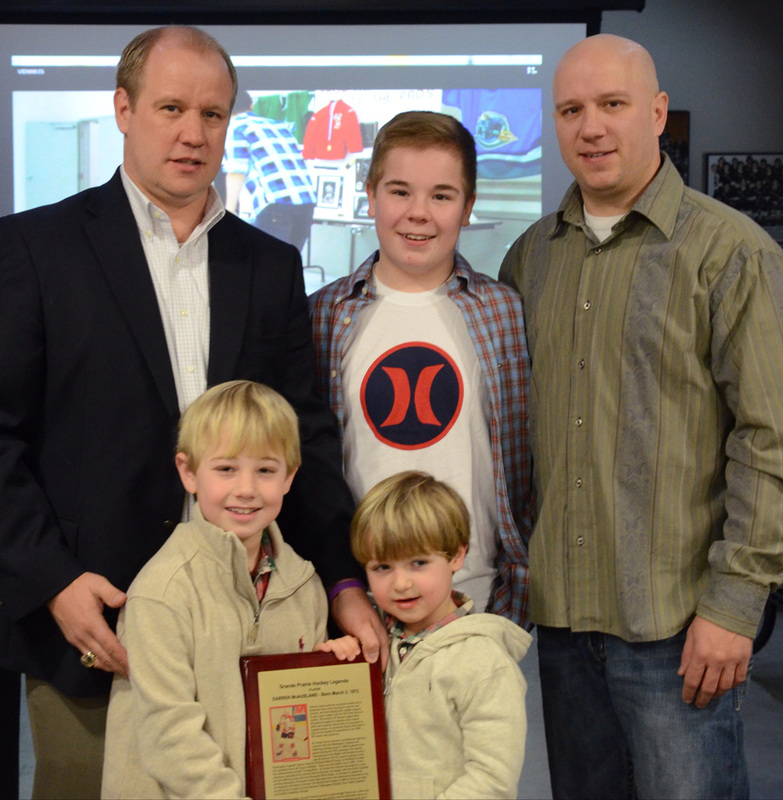 However, the first and foremost contributors to Darren’s success as an elite hockey player are family members: his mother, father, grandfather, several uncles and his brother, each of them with their own stories to tell about their relationship to Darren: stories that bear witness to the power of family ties. Another of Darren’s contributions to young hockey hopefuls was the role he played in organizing and conducting hockey schools in Grande Prairie while playing junior hockey in Seattle. 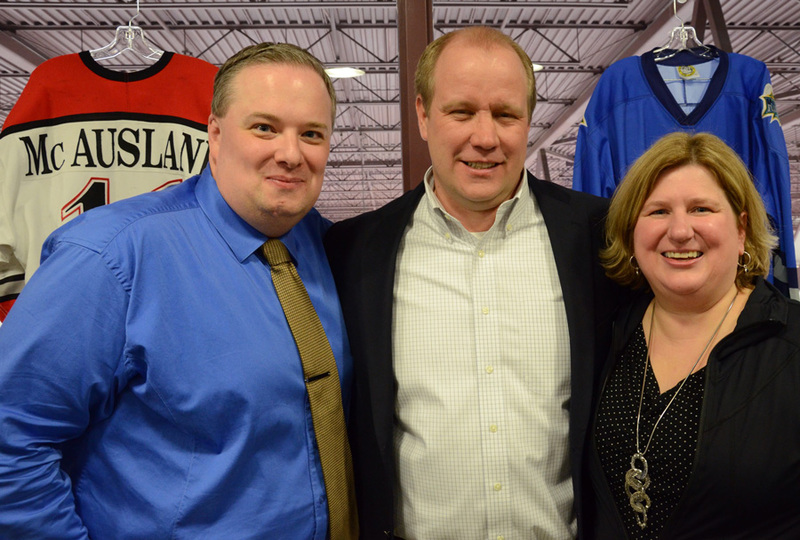 In Darren’s youth he had enrolled in summer hockey programs conducted by GP Hockey Legends Ken Solheim (inducted 2006) and Doug Rigler (inducted 2008). Later Darren took his turn to coach at home. Darren first worked for the Grande Prairie Figure Skating Club and then along with Brad Zavisha, Shane Sieker he founded the North Peace Hockey School which they operated for a number of years. Another connection to Grande Prairie is that he found time, while he was playing hockey in the WHL, to return home and in 1990 he graduated from the Grande Prairie Composite High School along with his friends. Darren is a proud GP Comp Alumnus. Darren, his wife, Betsy and their two boys, ages four and seven, now make their home in Tuscaloosa, Alabama – not exactly hockey country. The nearest rink is in Birmingham – a forty- minute drive. That’s a bit different from putting skates on in one’s kitchen and shuffling to a dugout across the street. Darren reports that he gets on the ice once or twice per year along with his boys. However, he is not sure they understand what he accomplished in hockey. One of the goals of the GP Hockey Legends project is to stir the hockey memory pot and keep our hockey history alive. “Darren’s contribution to the game of hockey includes strong local roots as well as an impressive professional hockey career. He left an indelible mark in Grande Prairie from the minor hockey ranks including his contribution as a junior with the North Stars where he joined the elite fifty goals in fifty games club,” remarks Stan Neufeld, GP Hockey Legends Chairman. 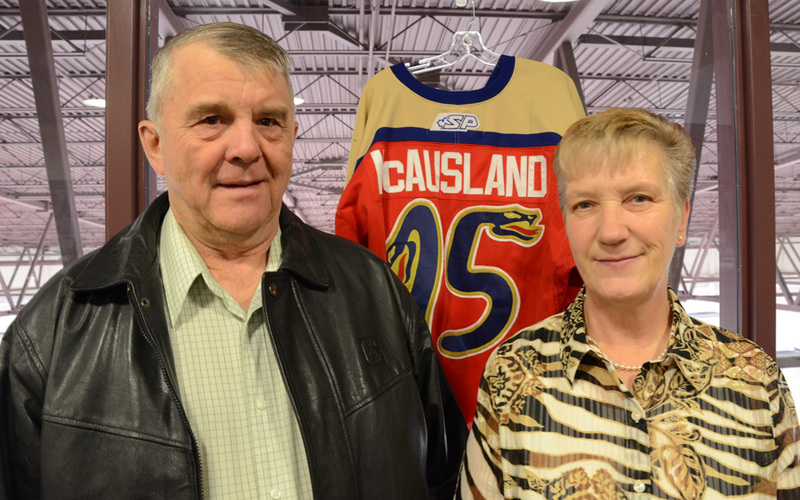 The Grande Prairie Hockey Legends Program is proud to honour Darren McAusland as one of its Hockey Legends.